How we learn to cope with our own anger and teach anger management to our children is a different story. Importantly, we need to differentiate angry feelings (which are normal) from aggressive behaviour, such as lashing out with the tongue or with fists. We want to teach our children that while it is okay to feel angry, it is NOT okay to be aggressive. 1. STOP and COOL DOWN: Teach your child that the first step to taking back control over their anger is to STOP whatever they are doing, take a break from the situation, and then find ways to COOL DOWN. To “STOP” the immediate problem situation, call for a “time out“ (like a coach does during a sporting game). Teach your child to go off by themselves to their room or to a quieter place. If need be, you can remove your child from the situation. Parents can also be great role models of this strategy. That is, when you notice your anger meter is at full blast (i.e., a ‘9’ or a ’10’ on a scale of 1 to 10), you can explain to your child that you need to take your own personal ‘time out’ and then leave the scene for a few minutes until your meter is at a manageable level (such as a ‘6’ out of 10 or lower). To “COOL DOWN” during ‘time out’, you can teach your child to take some deep breaths, count to 10 (or 20), sit down and rest his or her hands (palms facing upwards) on their lap, squeeze a pillow or a stress ball, and to think ‘cool down’ thoughts (e.g., “It is not worth getting mad about this,” “I won’t blow up,” “I can keep myself calm,” “Everything will be okay”, etc). Of course, these tips work for parents too! More “Cool Down” ideas: listen to soothing music, read a book, draw a picture, do jumping jacks or play basketball (for those kids who have tons of energy to expel). 2. THINK and PROBLEM-SOLVE: Teach your child that once they have cooled down, they can think about what to do to deal with the situation. For example, encourage your child to think “Should I stay or walk away?” from the problem. 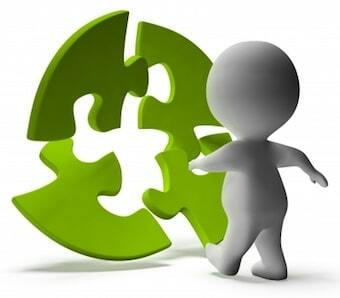 To “stay” means it is better for them to work it out and find a solution or compromise to the problem. To “walk away” means it is best to let it go and to move on to something else. Teach your child to also think about possible solutions. An older child may find that writing down on a paper their thoughts and ideas will help. 3. TALK IT OUT: Teach your child to use their words to communicate and talk out their feelings with you or another trusted adult. Encourage your child to express themselves and then together address what to do to resolve the issue. “Talk it out” also means that if your child decided it is best to work out the problem, they need to talk with the person they are mad at in order to share their feelings and if possible, come up with a solution to the problem. 4. FEELING GOOD: Teach your child that after an angry outburst or episode, your child may feel better by doing a physical activity or engaging in a hobby, game, or pastime they enjoy. Another aspect of ‘feeling good’ is for you to remember to praise and reinforce your child for using their strategies to tame their anger (e.g., “I am so proud of how you kept calm”) and for handling a situation well (e.g., “It was great how you and your sister took turns choosing which games to play”). Your child will thrive on your approval and your encouragement. I encourage you to take time to work with your child and practice each of these steps. However, taking back control and taming anger problems is a process that sometimes cannot be accomplished on your own, especially if you, or your spouse or partner, has trouble keeping calm. You may want to consult with a licensed psychologist or mental health professional to work on anger management issues. Together, you can all help your child and family feel more in control over anger. I welcome your comments and feedback. Please feel free to comment below. 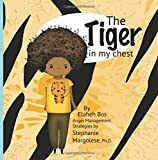 4 to 8 Using the image of a tiger to represent anger, this beautifully illustrated children's book describes what happens when a child gets angry and how confusing and lonely this big emotion can feel. 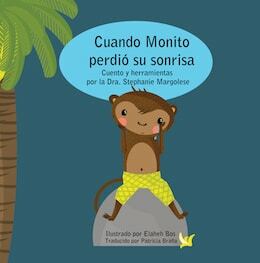 The book includes 5 anger management strategies to help children learn to cope with anger and resolve their feelings. 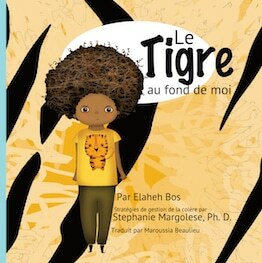 Kids will will easily understand the idea of learning to tame their inner anger tiger. 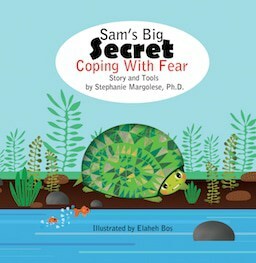 6 to 12 This recommended workbook includes 40 activities to help children talk about their feelings, recognize anger triggers, improve their problem solving skills, and learn to communicate better. The workbook also explores other issues (e.g., lack of sleep) that can contribute to anger problems. 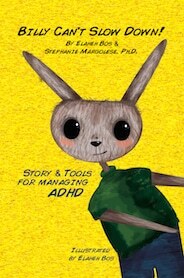 Helping Your Angry Child Darlene G. Nemeth, Ph.D., Kelly P. Ray, Ph.D., Maydel M. Schexnayder, MS Parents This recommended interactive, self-help workbook is written to help parents come up with solutions to dealing with their children's anger and rage. Parents will learn to teach their children anger-management skills, how to relate to others when strong emotions arise, as well as how to listen, understand, recognize, and cope with their child's anger. 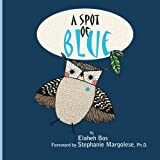 6 to 12 Based on cognitive-behavioural principles, this recommended book teaches your child all about how to control anger, including four "anger-dousing methods" (such as 'think cool thoughts', and 'release anger safely'). 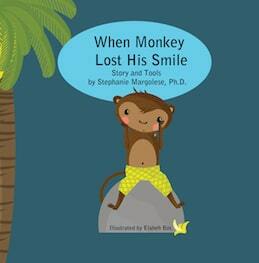 Dr. Huebner teaches your child how to identify triggers of anger, how to solve problems, and much more. 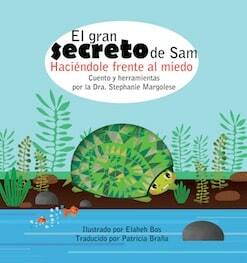 6 to 12 This terrific book teaches children how to recognize and manage anger. The book is about a boy named Lester who "blows his cap" often and learns with the help of his dad a number of strategies that help him control his temper. A fun read! Ross W. Greene, Ph.D. Parents In this recommended book, Dr. Greene offers parents a sensitive, practical approach and useful strategies to decreasing antagonism, reducing your child's explosions, engaging in collaborative problem-solving, and helping your child be more flexible and handle frustration more adaptively.